By this time, Don's musical focus was on folk thanks, in part, to The Weavers landmark 1955 recording "Live at Carnegie Hall". Don was determined to become a professional musician and singer and, as a 16 year old, he was already making contacts in the business. After managing to get his home number from the telephone directory, Don phoned Erik Darling. They become friends and Don visited his apartment in New York. While at Villanova University in 1963 (he stayed for just four months), Don met and became friends with Jim Croce and President Kennedy was assassinated. After leaving Villanova, Don worked his 'apprenticeship' for “Harold Leventhal Management”. This started a six year period during which time Don performed at venues like the Bitter End and Gaslight Café in New York, the Newport Folk Festival, the Cellar Door in Washington, D.C., the Main Point in Philadelphia, the Troubadour and Ash Grove in Los Angeles and over forty colleges throughout New York and New England. He appeared alongside artists like Herbie Mann, Brownie McGee and Sonny Terry, Melanie, Steppenwolf, Arlo Guthrie, Pete Seeger, Janis Ian, Josh White, Ten Wheel Drive and others. The transition to international stardom began in 1971 with the release of "American Pie”. "American Pie” was recorded on 26th May 1971 and a month later received its first radio airplay on New York's WNEW-FM and WPLJ-FM to mark the closing of The Fillmore East, the famous New York concert hall. and "American Pie" by Don McLean. The second single, "Vincent”, charted on 18th March 1972 going on to reach US#12, UK#1. The "American Pie” album remained at #1 in the UK for 7 weeks in 1972, and in the UK charts for 53 consecutive weeks. In the wake of “American Pie”, Don became a major concert attraction and was able to call upon material not only from his two albums but from a repertoire of old concert hall numbers and the complete catalogues of singers such as Buddy Holly, and another McLean influence, Frank Sinatra. The years spent playing gigs in small clubs and coffee houses in the 60s paid off with well-paced performances. Don's first concert at the Albert Hall in 1972 was a triumphant success. Concert footage and other video clips played to McLean songs formed the award winning 1972 film "Till Tomorrow” produced by Bob Elfstrom (a project they had started working on in 1968). With all this success, "Tapestry” was reissued by United Artists and charted in the USA on 12th February 1972 reaching #111 and the top-15 in the United Kingdom; it includes two of Don's most famous songs: "And I Love You So” and "Castles in the Air”. Don's third album, simply entitled "Don McLean”, included the song "The Pride Parade” that provides an insight into Don's immediate reaction to stardom. Don told "Melody Maker” magazine in 1973 that “Tapestry” was an album by someone previously concerned with external situations. “American Pie” combines externals with internals and the resultant success of that album makes the third one ("Don McLean”) entirely introspective”. The fourth album, "Playin Favourites” became a top-40 hit in the UK in 1973 and included the classic, "Mountains of Mourne” and Buddy Holly's "Everyday”, a live rendition of which returned Don to the UK singles chart. 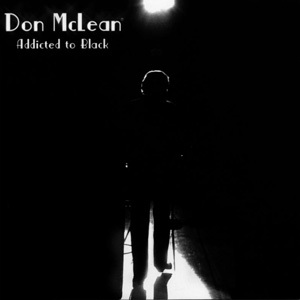 McLean said, “The last album ("Don McLean”) was a study in depression whereas the new one ("Playin Favourites”) is almost the quintessence of optimism, with a feeling of "Wow, I just woke up from a bad dream". 1973 was another great year for Don McLean the songwriter and Don McLean the performer. Perry Como recorded "And I Love You So” from the "Tapestry” album and took it to the UK top-5 and American top-30. Como's version was nominated for a Grammy but was beaten by "Killing Me Softly With His Song” sung by Roberta Flack and written by Norman Gimbel and Charles Fox apparently after Lori Leiberman had attended a McLean concert at the LA Troubadour. Throughout the 1970s, Don McLean remained an in-demand concert performer. In 1975, 85000 fans attended his London Hyde Park concert. 1977, saw a brief liaison with Arista Records that yielded the "Prime Time” album before, in 1978, Don's career began again in Nashville where he would work with Elvis Presley's backing singers, "The Jordanaires” and many of Elvis's old musicians. The result was "Chain Lightning” and the UK No 1, "Crying”. The early 1980s saw further chart successes with "Since I Don't Have You”, a new recording of "Castles in the Air” and "It's Just the Sun”. In 1987, the release of the country-based "Love Tracks" album gave rise to the hit singles "Love in My Heart” (top-10 in Australia), "Can't Blame the Wreck on the Train” (US country #49) and "Eventually”. Four years later, Don hit the UK top-10 with "American Pie” prompting many appearances on radio and TV including a one-hour special with Nicky Campbell on BBC radio 1, and the recording of the Manchester concert for video release in 1993. A favourite memory for many fans is Don performing "American Pie” live on "Top of the Pops” in 1991. In 1992, many previously unreleased songs became available on "Favorites and Rarities” while "Don McLean Classics” featured new studio recordings of "Vincent” and "American Pie”. In 1994, Don appeared at the Buddy Holly tributes in the USA and London, and "Guns and Roses” took a replica of Don's version of "Since I Don't Have You” (a US top-20 hit for Don in April 1981) to the UK top-10. 1995 and "American Pie' returns to the top-40; this time in "techno-music” format performed by European artist, Just Luis. In 1996, "Killing Me Softly With His Song"', performed by The Fugees, was one of the biggest selling singles of the year. Don McLean credits his 1997 performance of “American Pie” at Garth Brooks’ Central Park concert (attended by over 500,000 people) as the beginning of his third career comeback. According to Don, his first "comeback" had been the release of "Vincent" and the second, the North American release and massive success of "Crying". Two years later Garth Brooks repaid the favour by appearing as a special guest (with Nanci Griffith) on Don's first ever American TV special, broadcast on PBS and now available as the “Starry Starry Night” video, DVD and CD. A month later, Don McLean wound up the 20th century by performing "American Pie" for President Clinton at the Lincoln Memorial Gala In Washington D.C. In 2000, Madonna recorded a cover version of "American Pie" that on release in the UK entered the official singles chart at number 1 and made the US top-30 on air play points alone. This prompted EMI to release a new "Best of Don McLean" CD that gave Don his first top-30 album chart entry in almost 20 years. McLean said: "Madonna is a colossus in the music industry and she is going to be considered an important historical figure as well. She is a fine singer, a fine songwriter and record producer, and she has the power to guarantee success with any song she chooses to record. It is a gift for her to have recorded 'American Pie.' I have heard her version and I think it is sensual and mystical. I also feel that she's chosen autobiographical verses that reflect her career and personal history. I hope it will cause people to ask what's happening to music in America. I have received many gifts from God but this is the first time I have ever received a gift from a goddess." Even more surprising than Madonna having a hit with a Don McLean song, was George Michael's decision in 2003 to record "The Grave", from the "American Pie" album, as a protest against the Iraq war. He recorded the song for MTV and performed it live on Top of the Pops. Don said: "I am proud of George Michael for standing up for life and sanity. I am delighted that he chose a song of mine to express these feelings. We must remember that the Wizard is really a cowardly old man hiding behind a curtain with a loud microphone. It takes courage and a song to pull the curtain open and expose him. Good Luck George." The 21st Century has seen a number of new honours for Don McLean and his music. Iona College conferred an honorary doctorate on Don in 2001 and, in February 2002, "American Pie" was finally inducted into the Grammy Hall of Fame. In 2004 Don McLean was inaugurated into the National Academy of Popular Music Songwriters' Hall of Fame and in 2007 he shared his life story in Alan Howard's biography. Don McLean continues to tour the world and release new material. In 2009 his latest studio album, "Addicted to Black", was released. Don embarked on a seven-nation European tour, including the Royal Albert Hall, in London.